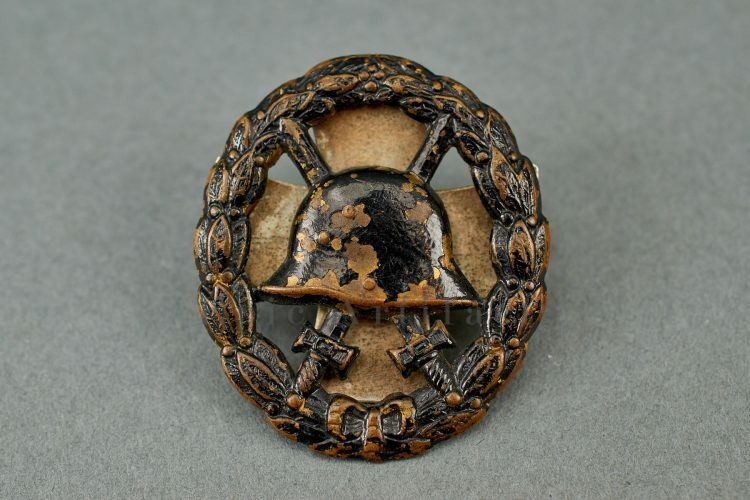 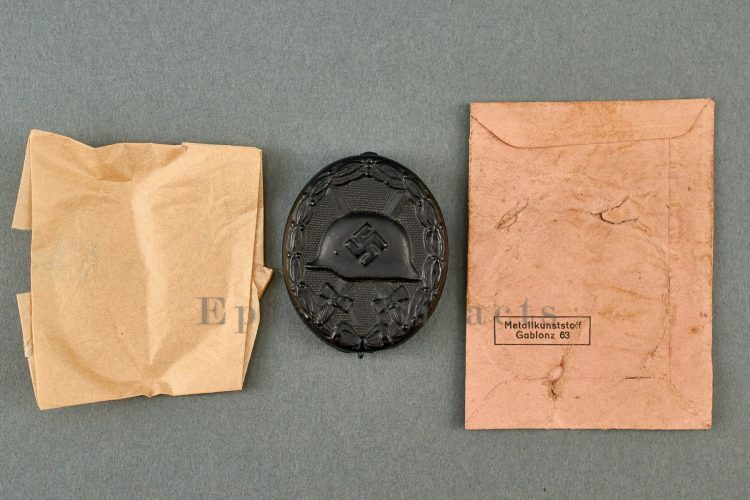 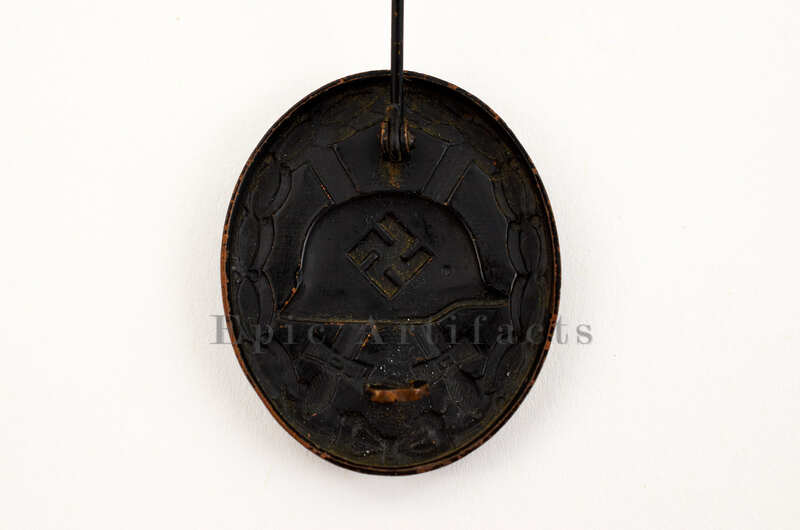 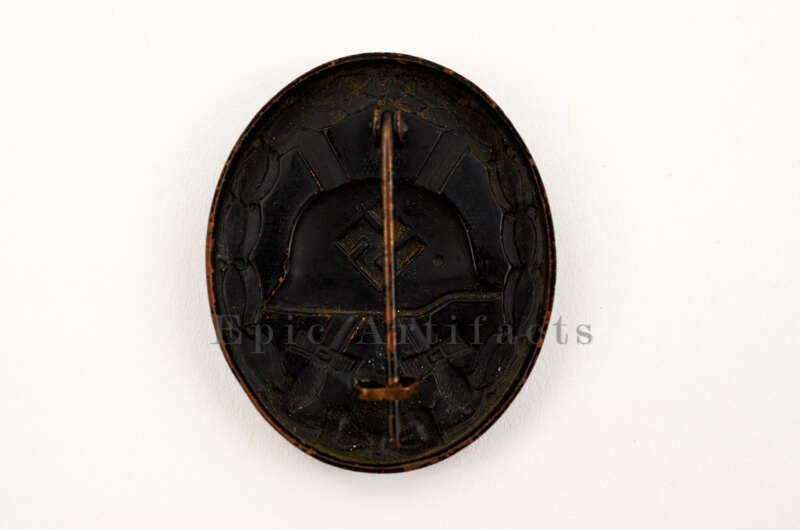 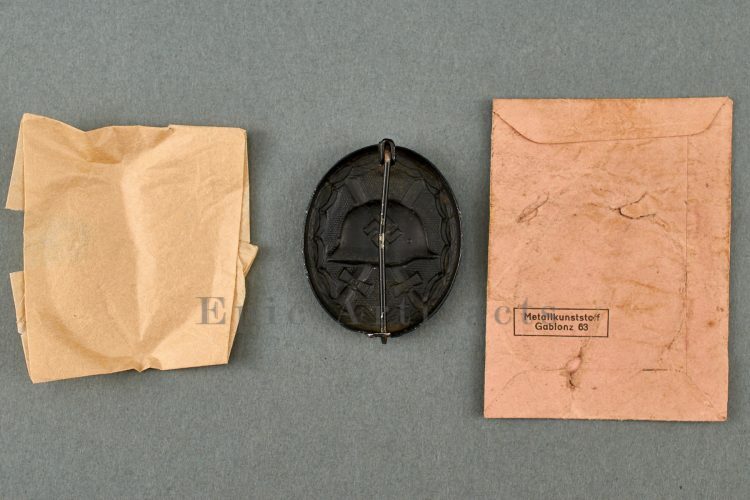 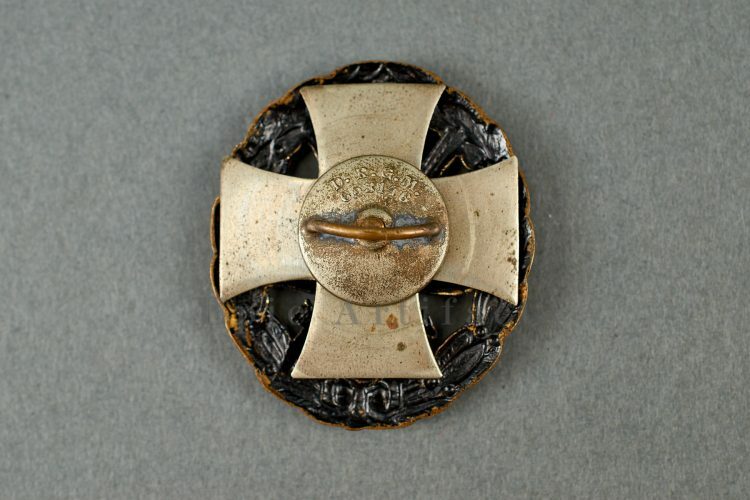 Product Description: Early example of the a Black Wound Badge – Unmarked. 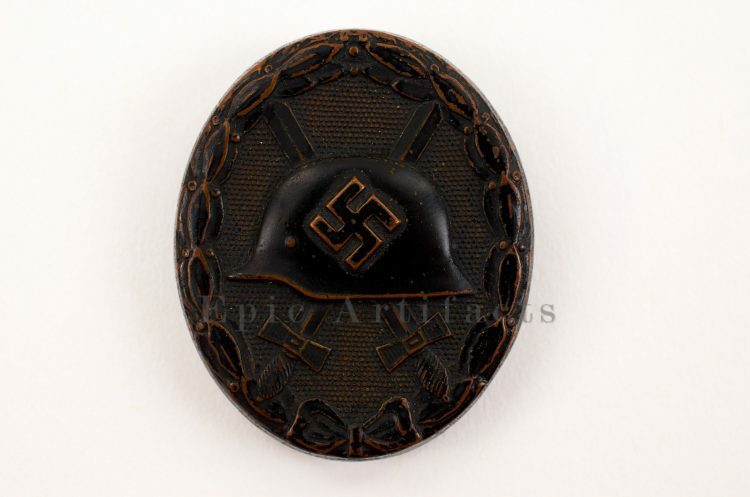 The badge base metal is made out of brass and black painted on top. 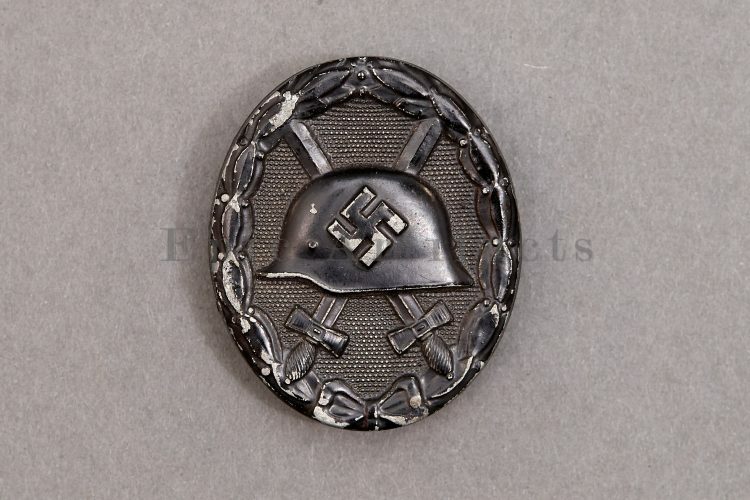 Unfortunately we are unable to identify the maker to this badge. 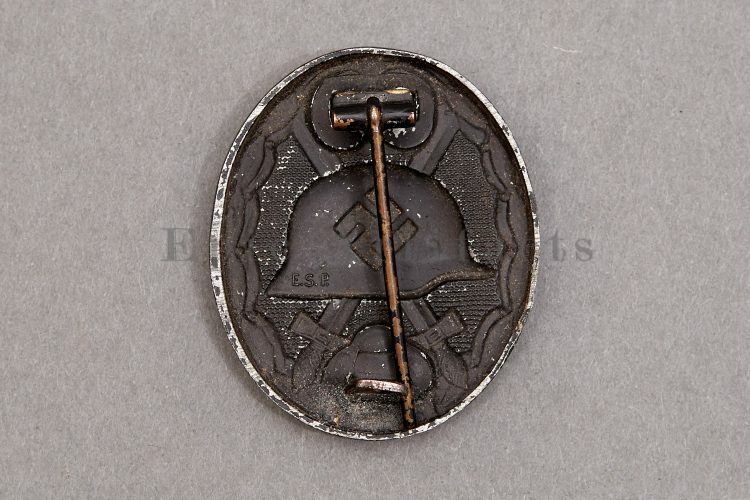 The paint is nearly 75% intact. Very nice early Black Wound Badge – Unmarked.